EAU CLAIRE, Wis. (WEAU) — Wisconsin could be the next state to legalize medical marijuana. Tuesday Democratic Gov. Tony Evers said he’s planning on taking steps towards legalization in his first state budget proposal. 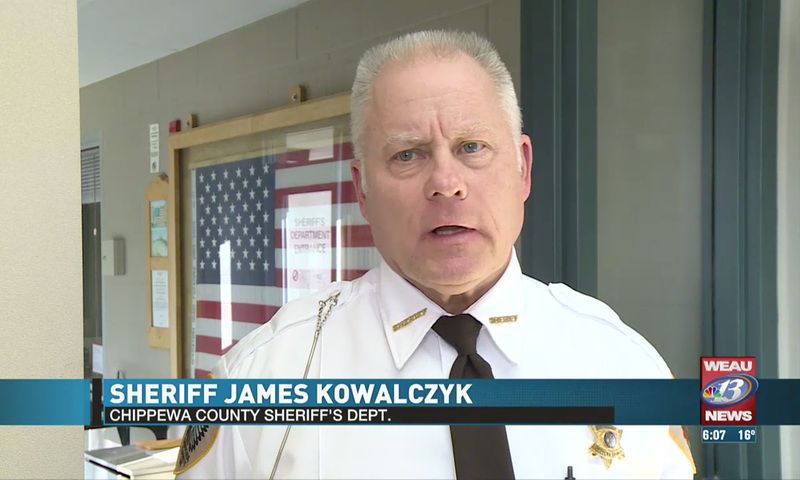 The possibility has raised concerns with local law enforcement and health officials..
Chippewa County Sheriff James Kowalczyk says he believes marijuana remains a gateway drug and can be problematic even if it’s meant to be used for medical purposes. The Eau Claire City-County Health Department agrees with director Lieske Giese saying while it appears to have some positive medical uses more research is needed before making such a big decision. Sheriff Kowalczyk also said the move could lead to an increase in more serious drug-related offenses. “Is it a gateway drug? Of course it is a gateway drug. I think you’d have a hard time convincing law enforcement that it’s not,” he added. Giese says the state needs to learn from issues stemming from other legalized substances, like alcohol and opioids before, making a decision. Both the health and sheriff’s departments agree there needs to be careful consideration and research before any legal action is taken . On Tuesday Evers also said he favors the full legalization of marijuana but doesn’t want to rush it. He added there may be steps for full legalization in the future including possibly calling for a statewide referendum.